How Can I Sue an At-Will Employer? You deserve to be treated well by your employer, regardless of your age, race, gender or position. All employees, including independent contractors and at-will employees, have laws designed to protect them from toxic work environments and wrongful termination. Many companies choose to hire a staff composed of employees who have signed an agreement or made a verbal statement agreeing to at-will employment. Do not hesitate to take legal action against an at-will employer if the need arises. Determine if there is proof that you are an at-will employee. At-will employees have different rights than workers with an employment contract. Review your hiring paperwork and employee handbook, as well as a copy of your original application. Statements made by an employer that imply job security, such as "We do not fire employees unless they use more than 5 sick days per year," may void an at-will employment agreement. Write a detailed account of each incident related to your decision to sue, even the ones that seem trivial. Qualifying incidents include inappropriate comments, unsafe work conditions, unwanted sexual advances, requests to participate in unethical practices and wrongful termination. Include the name, estimated age, and physical description of each person involved in the incident, as well as information about coworkers who may have witnessed the event. It is also important to record the time, date and location of each incident. Be as specific as possible and do not omit any relevant details. Give a copy of each incident report to your human resources (HR) manager if you still work for the company. Allow the company to address your complaints before you take legal action. Familiarize yourself with the laws regarding at-will employment conditions for your state. Every state has a different definition of potential legal issues, such as harassment and wrongful termination. Not all types of bad behavior are illegal. Find information about the laws for your state at your local state labor office. A current list of state offices is available on the official website for the United States Department of Labor, www.dol.gov. Browse the website to find additional information about employment laws and answers to questions you may have. Contact the U.S. Equal Employment Opportunity Commission (EEOC) if you have a discrimination case and work for a company that employs more than 15 people. The role of the EEOC is to protect employees from discrimination based on age, religion, medical limitations and other factors. Visit the official website at www.eeoc.gov. Select "Find Your Nearest Office" from the bottom right corner to find an office close to your home. Your local EEOC will investigate the case, intervene if necessary and advise you on how to proceed. The courts will consider your complaint to the EEOC when your case goes to trial. Hire an employment lawyer. Use a website such as LegalMatch to find a lawyer in your area. An employment lawyer specializes in work-related cases and knows the best course of action to take against an at-will employer. He will review your documents and let you know what type of case to file. Most at-will employees file cases related to wrongful termination, discrimination, harassment, personal injury or breach of contract. 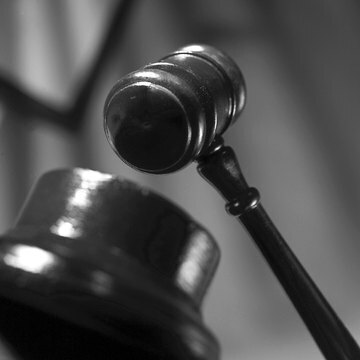 A successful lawsuit may result in reinstatement of your position or financial compensation. Missy Nolan has been a writer since 2003. She has contributed articles to several online publications and websites, including Catalogs.com. Nolan's poetry has been published in "Teen Ink" and she was the 2002 winner of the "What Matters" essay contest. She is currently completing her Bachelor of Science in public health. Nolan, Missy. "How Can I Sue an At-Will Employer?" , https://legalbeagle.com/8382972-can-sue-atwill-employer.html. Accessed 24 April 2019.